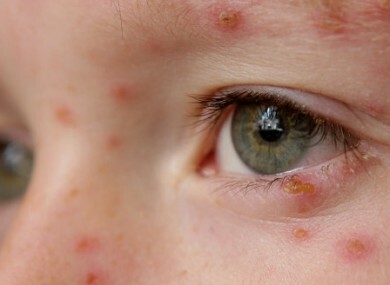 WOULD YOU SEND your child to a ‘chickenpox party’ – or give them a lollipop previously sucked on by a child ill with the contagious virus? The internet is rife with stories this week of parents sending their children to parties with sick children – so that they can avoid having their child vaccinated against chickenpox. CBS 5 in Phoenix, Arizona, launched an investigation into how parents are using social media to source the live viruses to infect their children. They discovered that a Facebook page was even set up so that parents could help share the disease. Some members said they received infected items by mail, even though it is illegal to send a contagion by post in the US. One parent even asked for measles, mumps and rubella to be sent to her. The page appears to have been taken down from Facebook in recent days. The parents say their primary aim is to ensure their child is infected with the virus so that they don’t have to vaccinate them against it. Speaking to WebMD, Dr William Schaffner, MD, president of the National Foundation for Infectious Diseases, described chickenpox lollipops as a “misinformed concept” that is unlikely to work. He said that you have to inhale the chickenpox virus in order to acquire it – it is not spread through spit. He also warned that there is a chance there could be even worse substances on the lollipop than even chickenpox. A prosecutor in Tennessee , Jerry Martin, US Attorney, said that sending these lollipops or infected items is against the law – and could lead to a sentence of up to 20 years in jail. Email “Warnings over 'chickenpox lollipops'”. Feedback on “Warnings over 'chickenpox lollipops'”.